Forget about stealth. 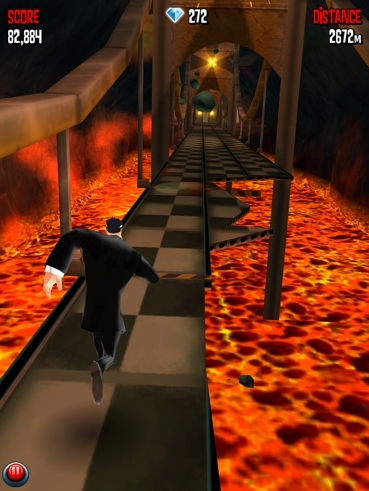 You'll need fast fingers to survive this danger-filled obstacle course. It takes plenty of skill to be the ultimate secret agent. You must possess cat-like reflexes and, most importantly, a basic understanding of a touchscreen. 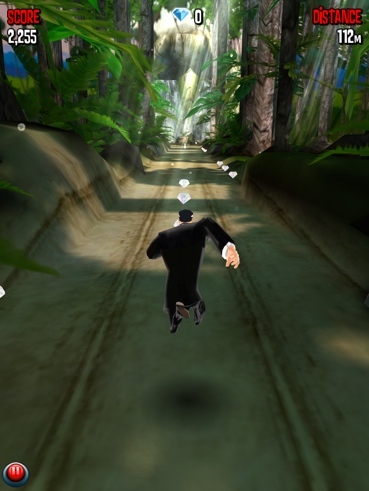 Only then will you be able to master Full Fat Productions' Agent Dash, a free-to-play running game that lets you control James Bond-style characters while exploring a jungle, enemy base and other locales. That said, there are plenty of obstacles to dodge, and to help you complete the mission, we have this cheats and tips guide. Don't worry. It won't self-destruct. 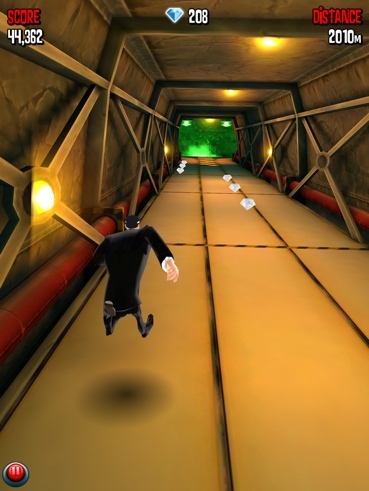 Spending a little green will give you easy access to all those nifty gadgets, upgrades and secret agents. Go ahead and splurge. It's a smart idea to stay in the middle of the playing field whenever possible, as this gives you the best chance to go right or left at a moment's notice. 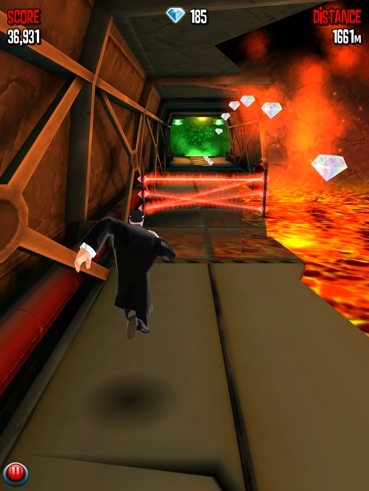 Your agent can perform the super human feat of changing direction (right or left) while jumping or sliding. It's especially useful in mid-air, since you can avoid plummeting into a hole. You can't grab gems if you're dead. With this in mind, don't be greedy. It's more beneficial to keep running than go for some hard-to-reach diamond and die prematurely. Is there an arrow in the distance pointing left? That means the track is about to veer left. Are there lasers on the far right? What about the gap located directly in the middle? Never take your eyes off that screen, and always make note of what's coming next. Here's the best way to remain among the living while on the bridge. If the rocks fall all the way on the left, you need to be on the far right. If they fall on the right, you need to be on the far left. So long as you remember that, and play from the middle, things will be OK.
Coughing up some gems will give you access to the following. Air Drop (2,000 Gems): Land at the entrance to the first villain base. Back-Up (4,000 Gems): Continue running from wherever you trip up. 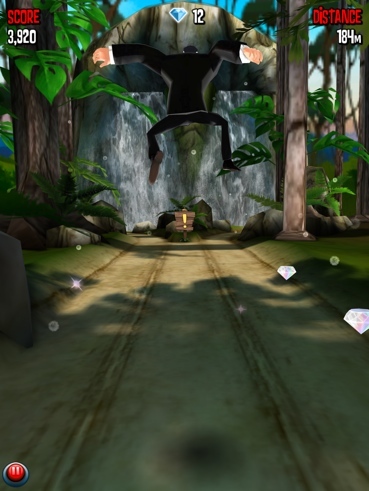 Slow-Mo (3,000 Gems): Use your Time Dilation device to slow things down. 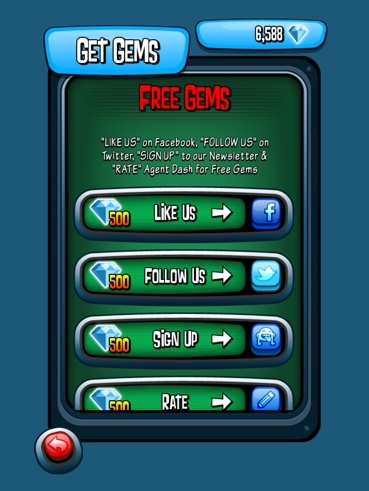 Gem Rush (2,000 Gems): Score high with x2 and x3 gems from the start. These helpful items will give your agent that all-important edge. Even better, you can upgrade each gadget up to five times to make it even more effective. 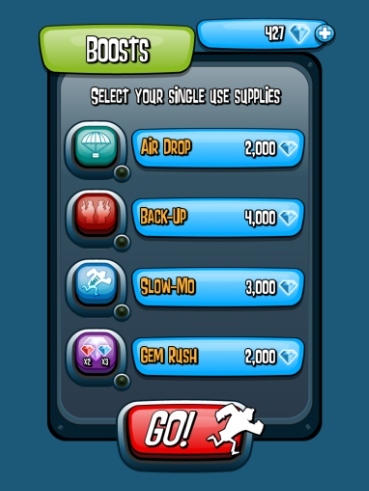 Super Diamond: Pick up a rare jewel worth 10 gems. Jetpack: Propels your agent for two seconds. Magnet: Attracts all gems for five seconds. High-Value Gems: Red (x2) gems appear from Town onwards. 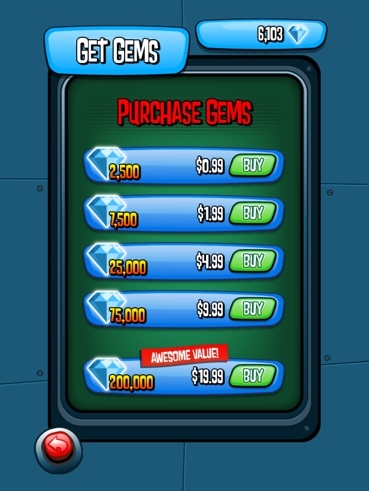 Invest in high-value gems to get rich quicker! 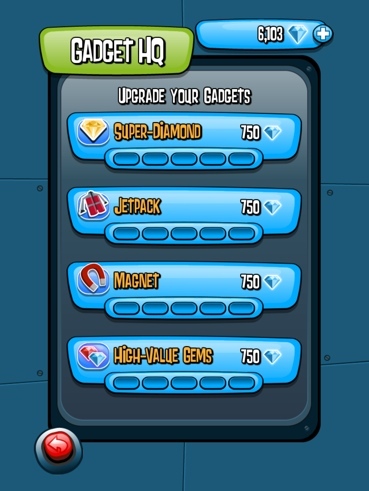 Upgrade the Magnet to boost the gem values as well as attracting them. Upgrade the jetpack to make it last longer! Jump over gaps and holes to allow you more time to dodge them. Try activating Slow-Mo when destroying the base for huge points. Controls not sensitive enough? Tweak them in the options menu. Use an Air Drop to parachute down to the base entrance.